Which Take on Wolverine is Best? The Group Real Estate knows me for being the nerd of the office, and just an overall nerd. I love all things nerdy. I love to engage in nerdy conversations. I love Star Wars. I love Star Trek. I love that there is a comic book shop here in Idaho Falls where I can go and talk with people about these nerdy things. Here at the Group Real Estate, if I get too nerdy with people, they will call me on it and it can lead into a pretty fun conversation. A lot of them are the fun ones: if someone hasn’t seen Star Wars. If someone doesn’t like Star Wars. Who would in a fight between Superman and the Incredible Hulk? By the by.. the answer to those is, Are you kidding me? !, are you kidding me? !, and are you kidding me, its Superman, duh?! As I look at the things that I love to talk about, or even think about, on the deep thinking nerd level, one of these is which incantation of Wolverine is the best? The X-Men has been around since the 60s, but the character of Wolverine wasn’t introduced until the 70s in an Incredible Hulk comic book, to which he then promptly became a fan favorite and joined the X-Men in the late 70s and early 80s, becoming a main staple in comic books, even getting his own run/title in the late 80s. 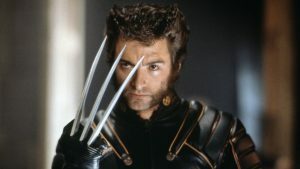 The first X-Men movie came out in 2000, to which we received our first look at the X-Men on the big screen and the on screen version of our favorite Canadian, Wolverine, played by Hugh Jackman. Now, Hugh has been playing the character for 17 years, with his final stint in the masterpiece Logan earlier this year. This is an incredible feat for any actor to even fathom, and all the better, an incredible feat for nerds, as we have been able to see him don the claws 9 different times now (well, one time we didn’t see the claws, but you get the gist). Now, being a huge fan of the comic books and the comic book take on this character, I am going to go at this a little bit differently. It’s like asking people who their favorite Batman is, opposed to which of the Batman movies is their favorite. You will get a lot of random answers, depending on them being a comic book nerd, fanboy, or just an overall fan of the character and the movies. This will be the same with Wolverine, so I will be going at it from the angle of being in love with this character since I was a child in the 80s. As I have seen all of the X-Men movies and the Wolverine stand alone movies multiple times over, I have a lot to go off of. I have read a lot of amazing Wolverine comic books and loved how he was in the original 90s cartoon, as well. There is a lot to go off of here, in the way the character is written, how he looked, the over all feel of the character and tone of the movie itself. X-Men, the original one from 2000, has a very different feel than a lot of the other ones. It has a very dark feel to it, the costumes are nothing like the comic books or the cartoons, at all. The overall look and feel is different with characters being different ages, the originality of it, though, is unbelievable. Now, I say this, as this was before Hugh was even known. He had just come off stints on Broadway, wasn’t his buff, and very gnarly looking self. He was a very unknown actor, and wasn’t brought in to be the star of the movie. But, boy oh boy, was he. There is a very pivotal scene at the very beginning when we are introduced to him for the first time, we see him 2 layer coats, scruffy hair, puffing a cigar. We aren’t seeing the ripped physique, the cool body or the veins. It is all done on facial expressions and what he does in the bar with his style and claws. As I look at all the movies, Logan is the best movie of them all. It is the best performance of them all from Hugh, and is a crazy take on the character that is probably the best, and is very close to my favorite take on the character. 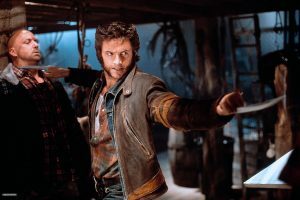 But as I really assess this, I will let you know that if you want the perfect version of Wolverine from the pages of the comic books to the screen, X-Men 1 is the best take on the character. It all comes through in pure character work and the style that we truly love, and know, Wolverine to be from the comic books. There are great moments with his love/hate relationship with Scott, the action scenes are simple, yet brutal with Sabretooth, and we get amazing moment of true heart and sheer love all from the character. This IS the Wolverine that true fanboys love and know from the comic books.